The school was founded in March 2016, by Morry Morgan and Ben Horowitz, with guest comedy mentors including Jeff Green, Steve Hughes, Brad Oakes, Chris Franklin, and Christine Basil, to name a few. In 2018, the School of Hard Knock Knocks produced 11 shows for the Melbourne International Comedy Festival (MICF), titled “The Best Of”, featuring 40 of the school’s funniest graduates. 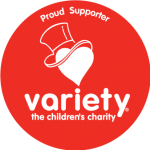 The School of Hard Knock Knocks is also a proud supporter of Variety, the children’s charity. Want to know more about the School of Hard Knock Knocks? Call us on 1300 06 8882 or send us a message.